JOIN US. IT'S NOT EASY. 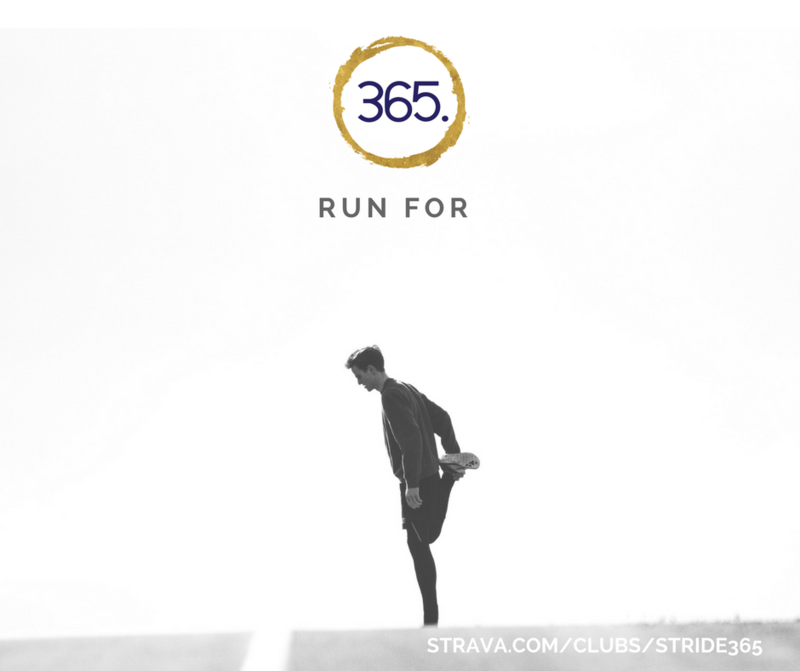 OUR STRIDE365 CHALLENGE has people just like you running 365 miles in one year -- every year. 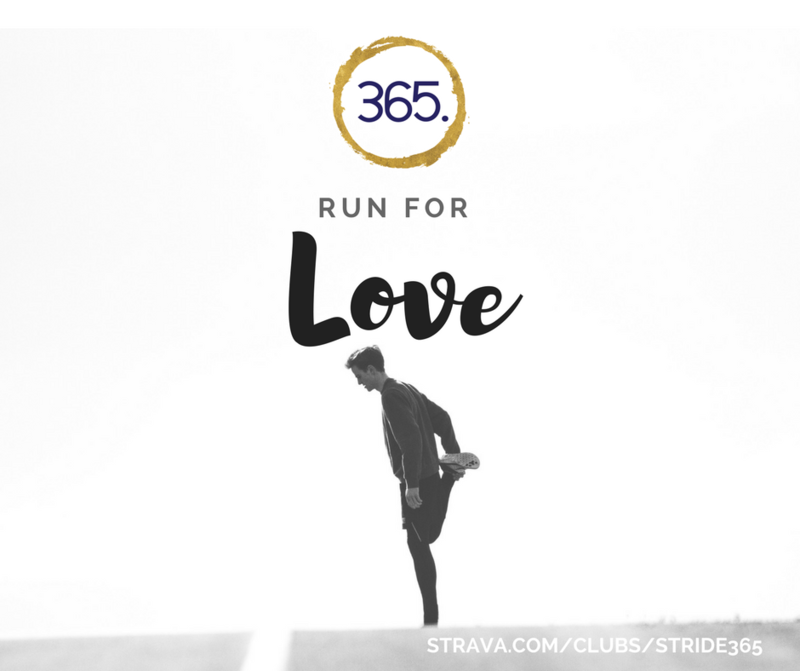 Join us and take a mile a day or 10 miles tomorrow and get on your way to 365 in 2019. There are a few things we all have in common, but there is one that stands out -- We all are passionate about our PURPOSEFUL commitment to move. WHAT WILL YOU RUN FOR THIS YEAR? TOGETHER WE STRIDE My children’s school shamed me, err inspired me. They mandate that all able bodied children 4th grade and beyond must run 1 mile per day. If it’s possible for a 4th grader then I submit that a large portion of able bodied adults can do it as well! This example motivated me to run 400 miles in 2015 and 1,000 in 2016. It was the excuse I’ve been searching for and I'm sharing my excuse with you.